The Sanskrit word “Yoga” means “to connect” or “to link”. 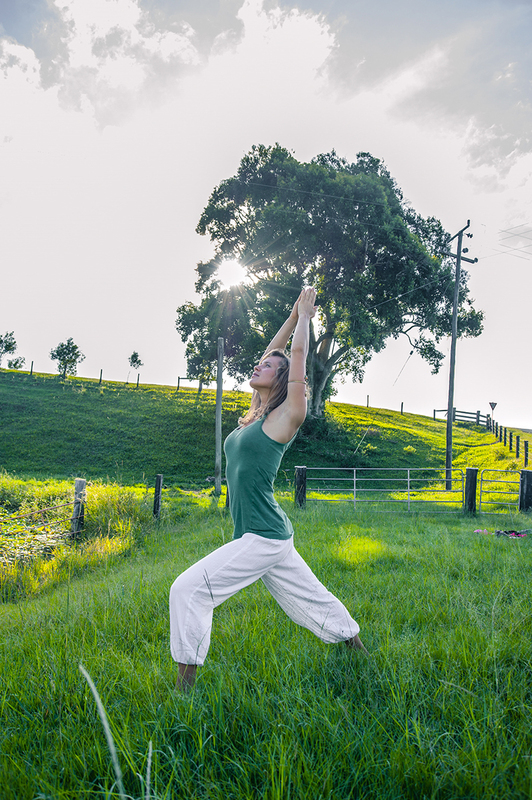 For thousands of years, different yoga traditions have been practiced with the intention of connecting our true self (the spirit soul) to the Divine (Krishna). Among these different paths, at the Krishna Village we practice three: physical yoga asanas (connection through body movement) and practical karma koga (connection through service and discipline of action) which both complement and support the highest form, bhakti yoga (connection to through love and devotion). In our yoga hall, we usually teach two yoga classes per day for all our retreat guests and volunteers. The main style is Vinyasa Flow, but since we often welcome visiting teachers from all over the world, we often get Hatha, Yin other styles mixed in. Our gentle sunrise yoga classes take place Sun-Fri from 5am - 6am and on Sat from 6:30am - 8am. They provide a relaxed and centered start to the day. 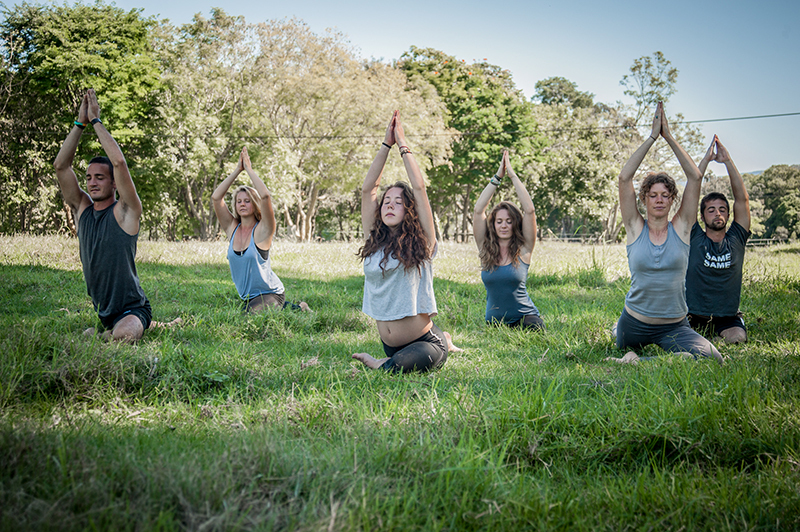 The more dynamic afternoon yoga classes take place Mon-Sat from 4pm – 5:30pm. After the class you are invited to join us for a delicious vegetarian dinner at 6pm and to participate in the evening arati at the temple (a 30min kirtan), if you like. All classes are targeted at beginners, with additional options being given to more advanced students. The classes are facilitated by our team members Lila Kirtana and Malcolm as well as our yoga teacher trainees who teach many of the classes under supervision as part of their training. As a Krishna Village retreat guest or volunteer, classes are free for you. If you come along as a casual visitor, it's $10 per class. At the Krishna Village, loving service and discipline of action are amongst our core values. 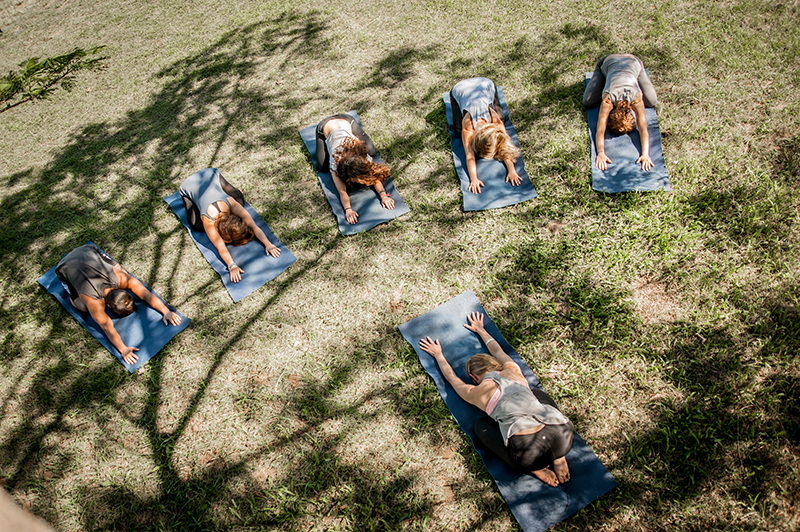 From the long term team members to the retreat guests and volunteers, we all share the duties of developing our community by contributing a certain amount of karma yoga hours. This is one of the keys to the beautiful Krishna Village atmosphere: a welcoming attitude of kindness and a healthy balance between giving and receiving. On a daily basis, this translates into practicing gratitude for what is given to us by reciprocating through high integrity work ethics and heartfelt service during our work hours. By focusing our mind on gratitude for the abundance of beauty and goodness that is being given to us, our work transcends the usual notion of “being a chore” and becomes a beautiful grounding exercise of mindfulness and service to the divine. Nurturing our spiritual side by practicing loving service and devotion towards the Divine and amongst each other is the original purpose of the Krishna Farm. If you are interested to learn more about this ancient tradition, you are most welcome to attend the daily Srimad Bhagavatam class at the temple from 7:30am - 8:15am as well as the 'Introduction to Vedic Philosophy' class at the temple on Mon, Tue, Thu + Fri at 5pm - 6:15pm.